USING YOUR SMART PHONE AS A CREDIT CARD SYSTEM,SWIPE IT & PAY…. You’ll soon be able to pay for things just by swiping your iPhone, analysts say. Apple plans to introduce services that would let customers use its iPhone and iPad computer to make purchases, said Richard Doherty, director of consulting firm Envisioneering Group. The services are based on “Near-Field Communication”, a technology that can beam and receive information at a distance of up to four inches, due to be embedded in the next iteration of the iPhone and the iPad 2, Doherty said. Both products are likely to be introduced this year, he said, citing engineers who are working on hardware for the Apple project. Apple’s service may be able to tap into user information already on file, including credit-card numbers, iTunes gift-card balance and bank data, said Richard Crone, who leads financial industry adviser Crone Consulting LLC in San Carlos, California. That could make it an alternative to programs offered by such companies as Visa, MasterCard and eBay’s PayPal, said Taylor Hamilton, an analyst at consultant IBISWorld. “It would make a lot of sense for Apple to include NFC functionality in its products,” Crone said. The main goal for Apple would be to get a piece of the $US6.2 trillion Americans spend each year on goods and services, Crone said. Today, the company pays credit-card processing fees on every purchase from iTunes. By encouraging consumers to use cheaper methods – such as tapping their bank accounts directly, which is how many purchases are made via PayPal – Apple could cut its own costs and those of retailers selling Apple products. Natalie Harrison, a spokeswoman for Apple, declined to comment. “NFC is definitely one of the technologies that’s getting a lot of attention, but ultimately the consumer is going to choose,” said Charlotte Hill, a spokeswoman for PayPal, owned by eBay. Elvira Swanson, a spokeswoman for Visa, said the company was “excited to see NFC mobile devices coming into the market”. Ed McLaughlin, chief emerging payments officer at MasterCard, said the company was “running the world’s fastest payment network, and that doesn’t need to be re-created”. MasterCard sees NFC “as an opportunity to partner with organisations” and has already run NFC payment trials around the world. The recently passed Durbin Amendment makes the timing right for a push by Apple, Crone said. The regulation, which will go into effect this summer, may limit debit-card fees paid by retailers and lets them encourage consumers to use one payment method over another. Under Apple chief operating officer Tim Cook, who is handling day-to-day operations as chief executive officer Steve Jobs takes medical leave, the iPhone is adding features that will help it compete with phones that use Google’s Android software. Samsung Electronics’s Nexus S phone, which runs Android, can read information from NFC tags. Nokia, the world’s largest maker of mobile phones, has pushed NFC adoption for years, though the technology has been slow to take off. 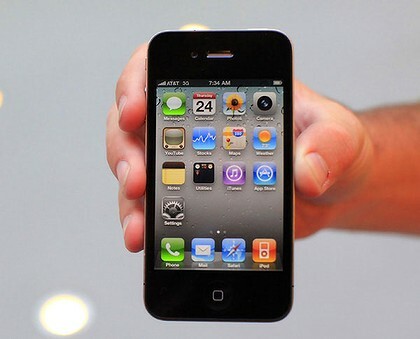 “Apple could be the game-changer,” Doherty said. Apple is considering starting a mobile payment service as early as the middle of this year, Doherty said. It would revamp iTunes, a service that lets consumers buy digital movies and music, so it would hold not only users’ credit-card account information but also loyalty credits and points, Doherty said. Using the service, customers could walk into a store or restaurant and make payments straight from an iPad or iPhone. They could also receive loyalty rewards and credits for purchases, such as when referring a friend, Doherty said. Apple also could use NFC to improve how it delivers mobile ads to customers’ handsets and charge higher fees for those ads, Crone said. NFC would let Apple’s iAd advertising network personalise ads to the places where a customer is spending money. That could double or triple the ad rates that Apple charges, Crone said. Apple has created a prototype of a payment terminal that small businesses, such as hairdressers and mum-and-pop stores, could use to scan NFC-enabled iPhones and iPads, Doherty said. The company is considering heavily subsidising the terminal, or even giving it away to retailers, to encourage fast, nationwide adoption of NFC technology and rev up sales of NFC-enabled iPhones and iPads, he said. To help get ready for NFC, Apple last year hired Benjamin Vigier, who worked on the technology at mobile-payment provider MFoundry. It also has applied for a patent on a system that uses NFC to share information between applications running on various Apple devices.